From the first major extinction event on earth to the present is about 443 million years. That’s a lot a time to cover in a 336 page book but we couldn’t have better guide to some of the major events than Elizabeth Kolbert, staff writer for the New Yorker. Bad stuff is happening, she tells us. The Panamanian Golden Frog is all but gone, a few surviving in a ‘frog hotel’ in the small village of El Valle de Antón in Panama. But if you think things are bad now, with up to 24% of all species predicted to be going extinct, let me show you how bad things have been in the past. And off we go, touring the Ordovician-Silurian extinction which was the first but by no means the biggest of the five great extinction events before that of our own age which, along with a number of scientists, she is calling the Sixth Extinction. Along the way we get a good look at the the most famous of the big five, the end-Cretaceous extinction (shortened to K-T or more recently to K-Pg, 65 mya,) which did in the dinosaurs and cleared the way for bigger and brighter mammals, including us. We are introduced to the Alvarez’s, father and son, who only thirty years ago discovered the iridium layer that blanketed the earth at the time of the extinction. Their postulate of a massive asteroid-strike as a major contributory factor in the extinctions, weathered the disbelief, and even ridicule of some of their colleagues to become all but a certainty today. The mother of all extinctions, end-Permian (251 mya) in which 90% of all species are estimated to have been snuffed, gets a fly-over as well. I personally, would have liked a longer stay and more information here, and if space had to be conserved perhaps fewer stories of cowboys riding unexpectedly into forest camps or mention of medieval torture museums. She tours these far away places and climes –during Ordovician-Silurian time all the continents were hanging down near the south pole in ocean temperatures of near 100 F and later under enormous masses of ice– by means of her much more present travels with some of the world’s first rate environmental scientists. From snorkeling at One Tree Island near Australia’s Great Barrier Reef to tromping, with head-lamps, through the graveyards of bats, brought low by white nose bat disease in Pennsylvania, Kolbert keeps up her inquiry: what is going on? How do we know? How does what is happening now compare to what happened in previous extinction events? Along the way she helps us see how science is done — with questions and focus and data collection which lead to theories which bring more data collection, branching out to more questions, theories, data. And these scientists are not pure math folks. They have to lace up their boots and climb the slopes of the Andes to measure, year after year, the health of small forest patches and the species therein; they camp out on a rocky island collecting enough information about CO2 spumes and the effect on species to get grants to come back and camp out some more. 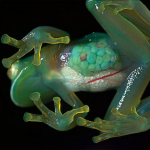 Grunt work science –rewarded by the proof or disproof of theories, by full moons over the oceans, by 1,300 Amazon bird species, by the spectacular underwater shows of once-a-year self fertilization by fecund coral creatures. We get big picture stuff and great on-the-job personality stuff. I want to be a naturalist! The silliness of right-wing anti-science people, who make repeated assertions about such researchers being beholden to their money masters, could not be more obvious. Researcher after researcher is gripped with the desire to know — how nature works, what caused the end of the trillions of graptolites at the end of the Ordovician? What can be learned by the lack of species near the CO2 vent? What happens to forest species when extent and boundaries and conditions are greatly changed? Looking at the extinction of the mastodon and mammoth — distantly related– takes her not only on a trip to Paris but on a historical one as well, to the work of Georges Cuvier in late 18th century France and his groundbreaking analysis of found bones and his formulation of the ‘correlation of parts, ‘ showing for example that molars adapted for grass eating could not belong to an animal with claws for grasping prey. As he reconstructed animals which were found nowhere on earth he was forced to see there had once existed animals which exist no longer. Admitting that some kinds of animals had disappeared, when received knowledge and claims to knowing God’s plan had previously made that impossible, was an vital paradigm shift in the progress of science. Tracking down the last Great Auk, “the original” penguin as she dubs it, brings us to Darwin who himself grappled with the notion of extinction, even in its man-caused form as he saw the sailors of the Beagle clubbing Galapagos tortoises to death. The interlocking and mutually enforcing findings of these men, Lyle, Cuvier, Darwin are alone worth the price of the book. Her method of going out to discover, and sharing the adventure and the discoveries with us is a pure pleasure, often opening treasures for later study. The swarming army ants of the Amazon, for instance, have some 300 other species living in association with them, from “obligate ant-birds” which follow their massed forays to pick at the insect life stirred up, to beetles, flies, crickets and many others. Corals are not only living creatures themselves but form the scaffolding and feeding ground for hundreds of other species. The death of one species is never simply the death of that one. Midway through the book she begins to lay out the latest findings on current climate ‘forcing,” the large increase in CO2, not only in the atmosphere but in the ocean water. She is no stranger to climate change, having written her previous book, Field Notes From A Catastrophe: Man, Nature and Climate Change, about the subject. On a trip to Ischia, a small island off the coast of Italy, she gets eyes-on lessons in what one of her scientist informants calls “the evil twin of climate change,” ocean acidification. An underwater plume of pure CO2 creates a laboratory for the study of acidification on native sea creature. On the far side of the island, away from the plume, the population of organisms is as would be predicted for the Mediterranean. Approaching the plume, the drop off of organisms and entire species — sea urchins, mussels, barnacles– follows an almost perfect plot of numbers-to-distance until there are no calcifiers of any kind to be found around the vent. 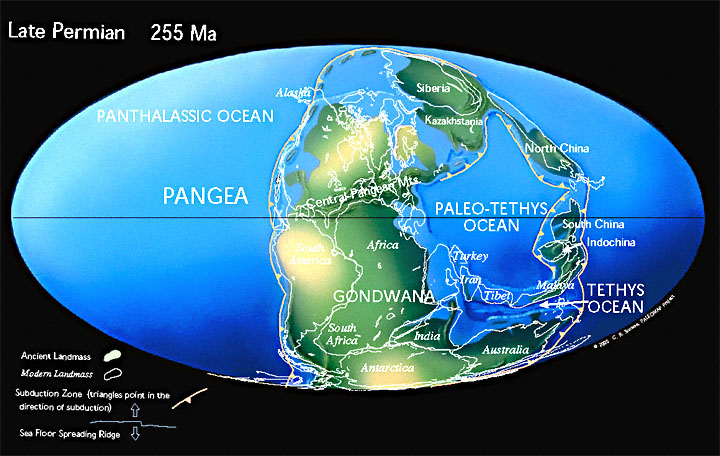 Of invasive species, she creates the arresting image of a “virtual Pangea,” after the mega-continent of 300-200 mya ago. Virtual, because once again there are no oceanic or even mountainous barriers to keep species from migrating; they come by airplane, in ships’ ballast, on boots and souvenirs from our globally adapted species. Chestnut blight from Japan and bat-fungus from Europe, zebra mussels from Russia. Existing populations which had developed in small ecological niches are too often easily out-reproduced by these hardier, more opportunistic organisms, or succumb to diseases the original hosts had co-evolved with, and so were immune. In the closing chapters, having shown us much and driven us to learn more, we are brought into the near present with an excursion into the hominid family tree — neanderthal, floresiensis, and the recently discovered Denisova hominins. No longer simply reconstructions from bones, beads and fire-pits, the research now includes DNA reconstruction revealing, for example, sexual congress between non-African modern humans and Neanderthals. Kolbert spends a good deal of time with Svante Pääbo, whose recent book Neanderthal Man: In Search of Lost Genomes is the latest word on the subject. Several times she emphasizes, though I wish it could have been done even more, that the problem facing us is not just change, from glacier to meadow, say, from one average temperature to another a few degrees higher, but the rate of change, the rapidity. Just as a person can survive a slow fall, say in a parachute, but be destroyed by a fast one, so too with evolution. Organisms adapt, seemingly to anything, from boiling sulfuric vents to bitter cold, but they adapt slowly. If breeding couples cannot reproduce enough off-spring which survive through the changes, extinction is the result. The greater the speed of change the lower the chances of adapting. Those large animals, including us, with long reproductive cycles and few off-spring are at a much greater danger of failing the test than say, cockroaches or, as she several times mentions, rats. Right now, in the amazing moment that to us counts as the present, we are deciding, without quite meaning to, which evolutionary pathways will remain open and which will forever be closed. No other creature has ever managed this and it will, unfortunately, be our most enduring legacy. The last twenty years or so has brought us a wealth of readable, informative writing about the natural world and its history, from John McPhee’s monumental five book series collected as Annals of the Former World, to David Rains Wallace’s The Monkey’s Bridge:Mysteries of Evolution in Central America, the on-going reports of David Quammen, Barry Lopez and Richard Fortey to name a few. For this year, in the circumstances of the world today, you won’t do any better than to pick up Elizabeth Kolbert’s The Sixth Extinction: An Unnatural History or Field Notes to a Catastrophe: Man, Nature and Climate Change, settling in to read, and understand — and then to pass it on. A Glass Frog, whose organs are visible through the skin. If you prefer to listen, the reader for the Audible version, Ann Twomey, is excellent, clear, well paced and with a full command of her Latin pronunciation, never hesitating or butchering species, genus or family names. Thanks for your review. Looking forward to the read. I was in Barnes and Noble last week looking for the book and was told it would not be released until August. Now I know they lie.